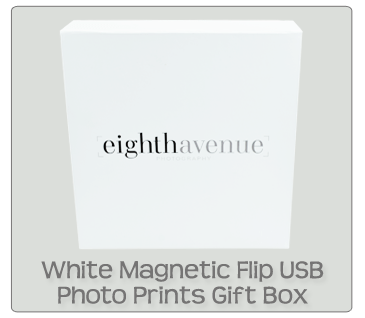 Our range of USB Gift Boxes and USB Presentation Cases will ensure that your Branded USB placed inside one of our Custom Printed USB Boxes will make a lasting impression with your clients. 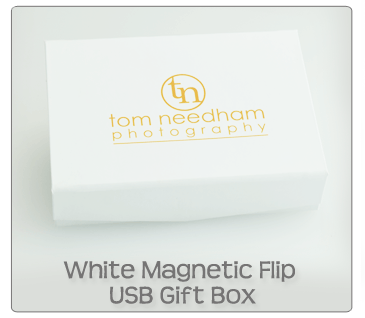 With a wide range of USB Presentation Gift Boxes to choose from, all of which can be printed in Spot Colours, Full Colour or Laser Engraved to compliment your USB Drive. 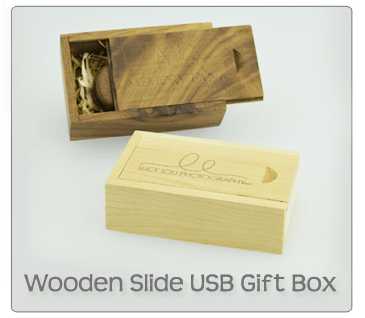 Presentation is more than just a cardboard box – it needs to make an impression on your customers with Quality, Design and Feel before they see your custom Printed USB Drive inside. 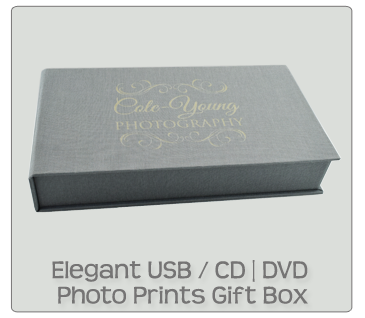 What better way to look back on those special moments than with a premium USB Gift Box that will stand the test of time. 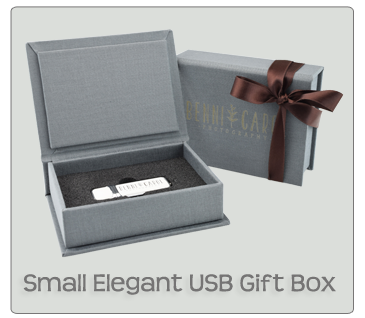 We have a choice of USB presentation packaging to suit all budgets, and if required some can be customised by changing the internal material that holds the USB drive, i.e. 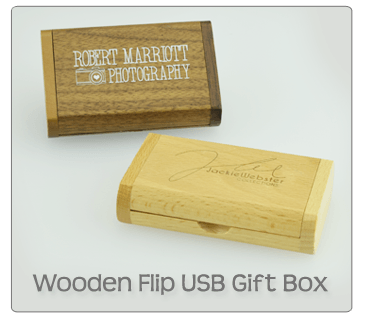 by inserting wood wool into wooden boxes – a favourite with our photographer clients. 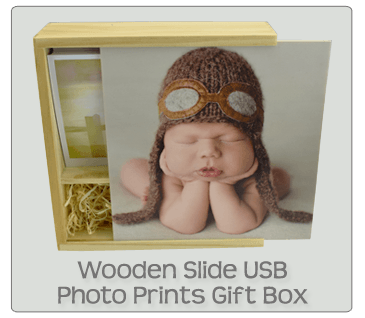 We also have Gift Box options which can hold various sizes of photo prints to add that extra special touch to each USB Presentation Box. 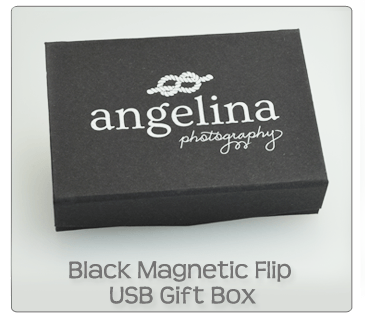 Just supply the logo and/or text you would like on the USB Box and we will do the rest. 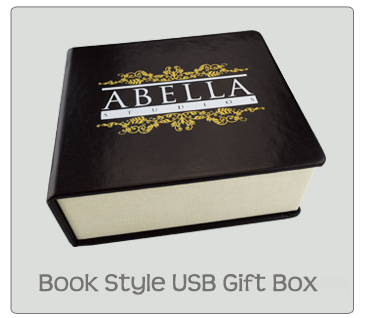 Click on the images below to find more details about each individual USB Presentation Gift Box.